Obituary for Chester H. Haas | Hartman Funeral Home, Inc.
Chester H. Haas, 79, of New Ringgold, died Thursday, June 7, 2018, in the Hometown Nursing and Rehabilitation Center. Prior to retiring, he worked as a baker at Leiby’s Restaurant, a foundry worker, a 10th grade English school teacher and he spent several years in Seminary School. Born in Weisenberg Township, he was the son of the late Howard and Helen (Rupp) Haas. Chester enjoyed bee keeping, gardening and the outdoors. Earlier in life he was a member of the 4 H club that took him to Austria in the Agricultural Exchange Student Program. He was preceded in death by four brothers, Alfred, James, Robert and Edward; three sisters, Eleanor, Alice and Thelma Peeler. Surviving are three sons, Christian and his wife Jennifer, of Churchville, Christoph and his companion Shana Kitchline, of Fleetwood, and Christopher Haas of Bethlehem; a daughter, Christl, of New Ringgold; two sisters, Helen Peinel, of New Ringgold and Janice Moore, of NY; three grandchildren and two great grandchildren, nieces and nephews. A Memorial Service will be held at 6pm on Wednesday, June 13, 2018, at Morgenland Church, 3120 Weidasville Rd, Orefield, PA 18069, with Rev. Sally Zelker officiating. Interment will follow in the church cemetery. Calling hour 5:30-6pm. Contributions to your local American Cancer Society. Hartman Funeral Home, 1791 West Penn Pike, Rte. 309, New Ringgold, is in charge of the funeral arrangements. 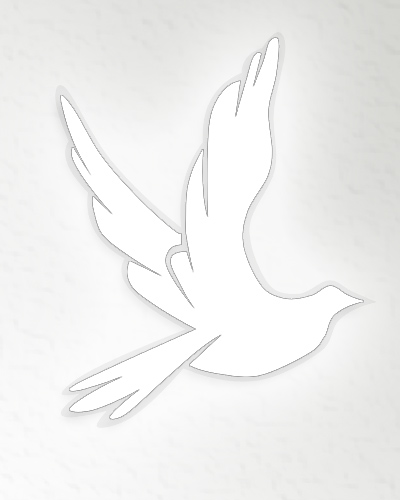 Online registry and condolences may be signed at www.hartmanfuneralhomeinc.com.